This is the start of a class action lawsuit against Blizzard Entertainment for the removal of Classic World of Warcraft and The Burning Crusade and will most likley apply to other future versions of the game. The funds will be 100% used to fund this campaign including law fees and other random fees that may be accumulated over this process. I cannot guarantee that we will be sucsessful but I feel we have a strong chance of winning or at least rattling them enough to make a change. Below I included the key points that would be brought to the table regarding this lawsuit. Prior to any court date I will personally contact blizzard and attempt to settle with some sort of agreement. I havent determined an exact value that I will sue them for, but it will be quite a large number, enough to scare them. 3.53 Million copies were sold in the first month. Just using that value, dividing it by 50% and multiplying it by $50 (retail price) we result in a value of 105 Million Dollars. As you read my reasoning for the lawsuit you will understand where I pulled these numbers from. I live in the United States and am fully capable of seeing this lawsuit through. Below are the points for the lawsuit. 1. Blizzard sold copies of World of Warcraft to consumers and after two years the game was removed and replaced by World of Warcraft – Wrath of the Lich King (WotLK). The game “World of Warcraft – The Burning Crusade (TBC)” was removed consumers were unable to play the game they paid for. 3. Porting the game from TBC to WotLK creates an entirely different game IE, entirely different economy, different final bosses (Kil'jaeden VS The Lich King). Although there are many more examples, these simple facts make the two games completely distinguishable. 4. Blizzard created a new expansion without consideration for people without the new expansion. Blizzard took no effort into accommodating the old paying customers and instead bullied paying customers into purchasing a product they didn’t want, but was required to continue to play the game. 5. Petitions were created to persuade Blizzard to do the right thing and release “Old Content Servers” but Blizzard simply ignored them. Source. It has been determined by the community that what Blizzard has done is illegal. 6. 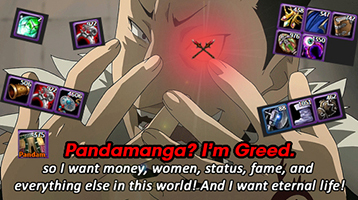 Monetary greed is the overall reason they forced this expansion on the community. The majority of people prefer TBC over WotLK and Blizzard wanted to sell another expansion pack without considering the community or the fact that we purchased a game we wanted to play. TBC was taken from the community forcefully. 7. Given these points above blizzard basically bullied their customers into buying the future expansions because the previous expansions would be unplayable due to lack of community and lack of partitioning of the community into one central server for players on “The old expansion”. In short, Blizzard exiled players off the previous expansions making the game they paid for obsolete.